Having an effective safety culture is the result of combined group effort toward values, attitudes, goals and the proficiency of an organisation’s WHS systems and procedures. 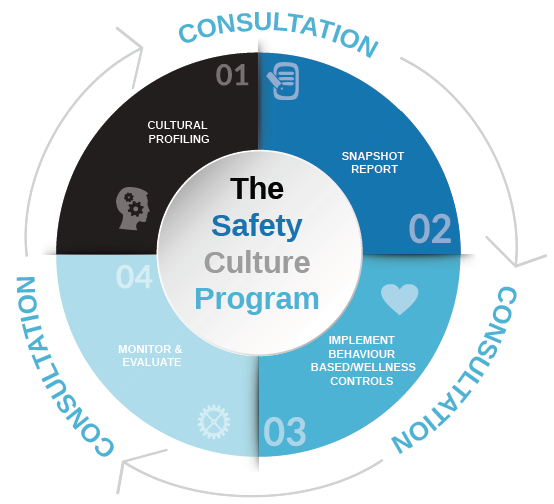 Recovery Partners Safety Culture Program goes beyond traditional safety measures, exploring approaches that boost the capacity of organisations and their employees to handle activities successfully. Employees are the most important resource an organisation can have, and leaders should be supporting line managers to create and maintain a safe and healthy workplace culture. 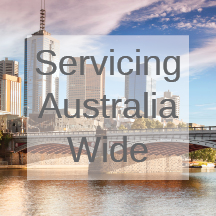 Recovery Partners have a team of skilled, qualified, and experienced psychologists and WHS professionals who are available to assist organisations understand and address the issues associated with their employees. Our tailored program aims to address and implement a positive safety culture within organisations. Assessment to profile safety related behaviour within the workplace. Delivery can be either staff survey interview / online assessment. Psychosocial hazard ID tool for risk profiling. Psychosocial risks linked to health-related behavioural risk. (These can include personal factors including alcohol consumption, overweight, less frequent exercise, increased cigarette smoking, and sleep disorders. WHSMS revision / amended / implementation (to include psychosocial risk management) in addition to the standard approach. Existing system may not accommodate or consider psychosocial specific risks! Progress reporting to management to include project timelines, updates, feedback and further recommendations. Measure success of interventions comparing against baseline measurements including safety and injury statistics.